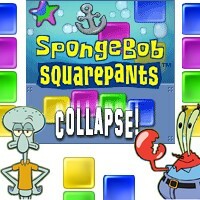 What's more fun than watching SpongeBob SquarePants, or playing Collapse!? SpongeBob SquarePants Collapse, of course! Our latest game offers you the best of both!